In a brief and surprising statement, Dallas Police Chief David O. Brown announced he is ending his 33-year career as a member of his city’s police force. 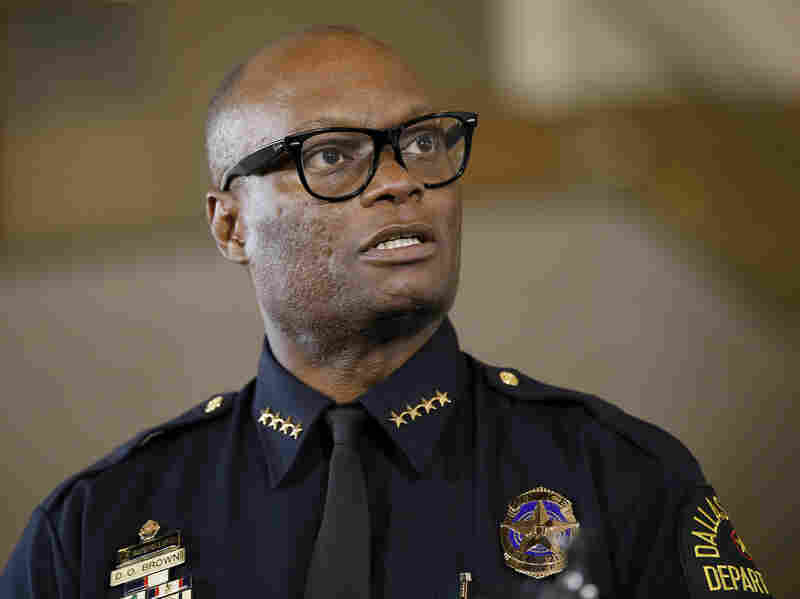 Brown is perhaps best known for leading his department in the aftermath of the slaying of five Dallas police officers by a disgruntled war veteran on July 7. Brown gave no reason for his decision, saying he will be unavailable until Sept. 8, when he will hold a news conference. He said his retirement will be effective Oct. 22. As member station KERA reports, Brown joined the Dallas force in 1983 as a patrol officer and had moved up the ranks. His tenure as police chief has been mixed. With violent crime surging in Dallas earlier this year, Brown tried to reassign hundreds of officers to high-crime neighborhoods and move more personnel to the 4 p.m. to midnight shift. That move prompted a backlash among the rank and file, and one police union called for his resignation. But Brown’s public image changed in July when he projected steady and sensitive leadership of his 3,600-officer department at its darkest period. Chief Brown called the slain officers “guardians” of democracy who died protecting the freedom of anti-police protesters. President Barack Obama praised his leadership. In the aftermath of the killings, Brown cracked down on protesters. But that would continue an already decade-long expansion of the government agencies responsible for those tasks — even as the number of illegal border-crossers has shrunk dramatically. That’s not even to mention the billions of dollars it would cost to build a brick-and-mortar wall across the length of the entire U.S.-Mexico border. 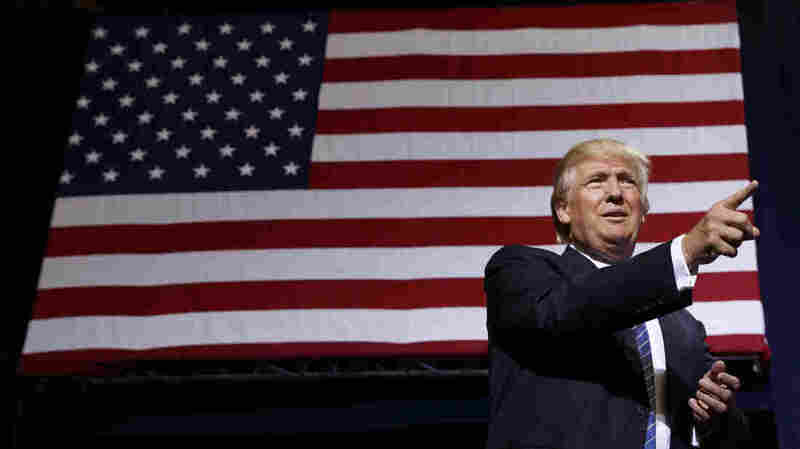 Trump’s proposal would represent a 24 percent increase in authorized jobs. The bipartisan immigration bill passed by the Senate in 2013 would have gone even further, expanding the Border Patrol to more than 38,000. Federal spending on the Border Patrol has also grown rapidly, climbing from $1.4 billion in fiscal year 2002 to $3.8 billion last year. 2. Apprehensions are down: Despite the growing number of officers patrolling the border, fewer would-be crossers are being caught. Apprehensions have fallen 79 percent from their peak in 2000. This is generally seen as a sign that fewer people are trying to cross the border illegally. Increased border security and a slow-growing U.S. economy are thought to have discouraged illegal immigration. The Pew Research Center found that more Mexicans left the United States than entered between 2009 and 2014. 3. Spending on enforcement is way up: As with the Border Patrol, federal spending on Immigration and Customs Enforcement, which shares responsibility for enforcing immigration law, has already jumped by 84 percent since 2005. Trump did not say how he would raise the money to triple the ICE deportation force. 4. Deportations — or “removals” in ICE parlance — increased during President Obama’s first four years in office, reaching a peak of 409,849 in 2012. Since then, deportations have been dropping to a low of 235,413 last year. Since 2014, the Obama administration has focused on deporting recent arrivals and criminals. There have been fewer deportations of immigrants who’ve lived in the U.S. for years and whose only crime was crossing the border illegally. In all, about 2.8 million have been deported under Obama. The Washington Post estimates that, in all, some six million people could be subject to deportation if Trump’s promised policies were to take effect. 5. Criminal deportation because of foot-dragging or something else? Trump said there are “at least 2 million criminal aliens now inside the country,” who would be deported immediately if he becomes president. That figure comes from an analysis of ICE data by the Center for Immigration Studies, a group that advocates for low immigration. According to the Center’s executive director, Mark Krikorian, that figure includes immigrants living legally in the U.S. whose criminal record makes them eligible for deportation. Trump suggested the only reason criminals haven’t been deported already is federal foot-dragging. In fact, local and state governments sometimes refuse to cooperate with federal immigration officials, for fear that overzealous deportation practices would target low-level offenders and alienate local immigrant communities. 6. Go back to… Canada? Trump says he’ll make a priority of removing visitors who overstay their visas — an estimated half-million people each year. According to the Pew Research Center, nearly one-in-five overdue visa holders comes from Canada. “Gatorade really dominates the [sports drink] market right now,” says Beth Bloom, senior food and drink analyst at the market research firm Mintel. Gatorade commands 77 percent of sports drink sales in the U.S.
She says some consumers like to see artificial colors and flavors removed from products. “It’s more natural,” Choi says. “But I don’t think it’s healthier per se. It’s pretty similar,” she says. For instance, women are told to limit consumption to somewhere between 25 and 37 grams of sugar per day, total. “So, drinking a bottle of [sports drink] is already getting you close to what you should get in one day,” Choi says. Choi says unless you’re exercising vigorously for an hour or longer and sweating a lot, you don’t need to drink any kind of sports drinks — organic or not. If you’re out for a casual jog or bike ride, you don’t need electrolyte replacement, either. So, what does Choi recommend for quenching thirst? “I say, drink water,” she says. Lots of dieticians agree. “Sugar is sugar, so no matter if it’s organic or not, it’s still going to have the same effect on your body,” says Lisa Cimperman, a clinical dietician and spokesperson for the Academy of Nutrition and Dietetics. If you consume too much, it may have negative effects on your waistline and can increase blood-sugar levels. And as we’ve reported, excess sugar is also linked to a higher risk of heart disease. 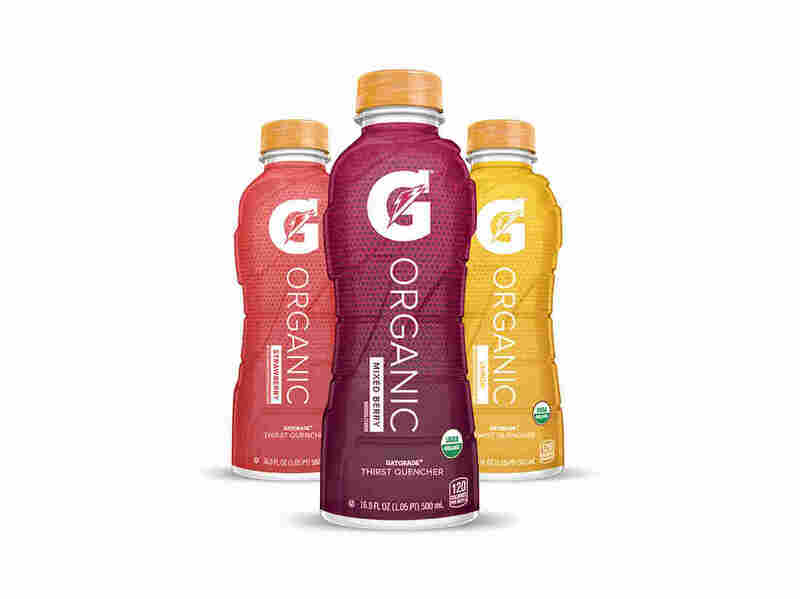 Cimperman says the new organic label may lead consumers to think organic Gatorade is healthier for them. “I think it’s a marketing ploy to apply this organic health halo to this product,” Cimperman says. NPR’s Rachel Martin hosts an hour-long special that digs into key moments over the decades that helped cement their reputations and looks at character traits that have turned into liabilities with voters. For Clinton, it’s the way she seems to protect her privacy at all costs. For Trump, it’s how he seems to crave public attention and says almost anything to get it. Janus Island, despite its rocky hilltops, patches of farmland, and ample beaches, can’t be found on a map. That’s because it doesn’t exist. But to be fair to Janus, most real-life remote islands aren’t easy to find on maps either, unless you know what you’re looking for. 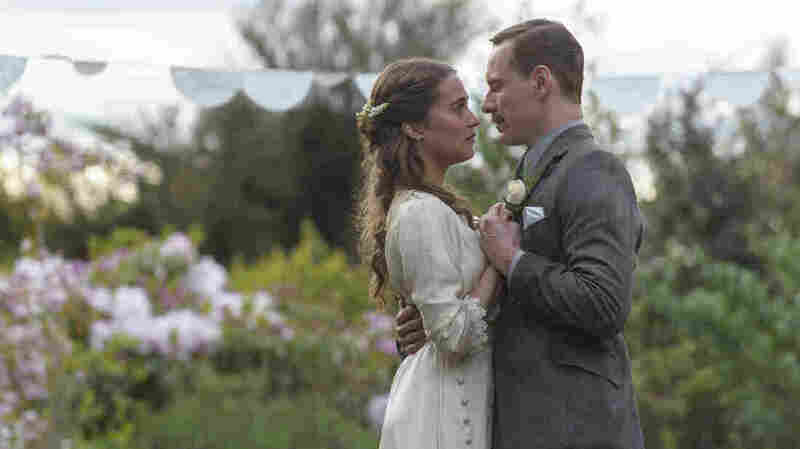 The gorgeous new period drama The Light Between Oceans does know what it’s looking for. Set on the fictitious Janus, which lies some distance from the Australian coast, the film understands the romance and the mystique that arises from picturesque isolation. Literature’s greatest names have long routed their heroes to islands, and the movie demonstrates the setting’s great durability. It builds a gripping morality play, with characters as fierce and hardened as the choppy waves that crash onto the shore from all directions. The lighthouse keeper on this godforsaken paradise is Tom, played by Michael Fassbender with tight lips and a weary stare. He’s a stoic WWI veteran with no family and a fat ton of survivor’s remorse. These qualities would seem to make him the ideal candidate for such a solitary gig, but lighthouse keepers, we’re told, fare better when they have companions to help tend to the chores. (The previous one had conjured images of his dead wife to keep him company.) So it’s good for work when Tom quickly falls for Isabel (Alicia Vikander), the pretty young woman in the closest port town who’s OK with the isolation—and the broken piano in the keeper’s house—but desperately wants a family. Two heartbreaking miscarriages follow, with silent funerals as the island wind rattles the plain wooden crosses. The edge of the world seems to reject all attempts to populate it. An unexpected gift soon washes ashore. It would be foolish to give away too much of what follows this divine intervention, but don’t believe the ads for this movie billing it as a mere romance. Readers of the novel by M.L. Stedman, from which the film is adapted, will know what sorts of decisions await Tom and Isabel, both out on Janus where only God is around to judge, and back in town where the repercussions will grow over the years. The story is airtight, with not an action or background detail wasted. As a grieving mother on the mainland (Rachel Weisz) begins to factor into things, a fascinating spiritual element takes shape: What is the just and righteous decision, and what is the self-serving decision, and what if they are secretly the same? The skill of the leads is such that we can ask these questions without straying too far from the film itself. Any number of readings are possible in the performances of the red-hot, perfectly cast Fassbender and Vikander, who each depict their characters as withdrawn even when they’re being intimate, and who can open up deep rifts in their relationship without saying a word. At one crucial moment Vikander lets out a scream of such primal fury, a wail of possession, that it shatters the bones. It’s a selfish, even childlike reaction to something she herself did wrong, yet we never think of Isabel as a cheat. She’s human, and her wounds are deep, and she’s chosen the wrong way to fill them. Director Derek Cianfrance previously made Blue Valentine, a time-scrambled tale of love gone wrong, and The Place Beyond the Pines, a multi-generational crime saga. In the past, he has favored an intense, often furious brand of imagery that uses showy technique to approximate deep human emotion without ever quite arriving at real humanity. (Feel Ryan Gosling’s pain! Feel it!) But here, Cianfrance has found material that complements him well, because the stripped-down story forces him to put his visual style to good use. He does wonders with close-ups from behind, in three-quarter profile, setting the relationships between his leads off-kilter in subtle ways. And because setting your movie on an island is a waste if you can’t bathe everything in natural light, he turns the film (shot on Tasmania and New Zealand) into magic-hour playtime. The Light Between Oceans drifts off-course in the ending, which drags on for one epilogue too many and operates under the ancient Hollywood sailor’s mistaken belief that a touch of schmaltz cures all wounds. Yet the film remains an uncharted island of gripping narrative power and visual splendor, beckoning us to dock at its shore. The Seasons in Quincy: Four Portraits of John Berger is often lyrical and sometimes poignant. Yet the impressionistic documentary about the Marxist art critic and self-styled “storyteller” — novelist, screenwriter and more — doesn’t quite deliver what its title promises. Each segment is different in style, and was directed by a different person or team. Yet two figures, aside from the subject himself, are prominent. Actress Tilda Swinton, a longtime Berger friend, is seen or heard in three of the chapters, and directed the last one. British critic and art-film producer Colin MacCabe (now a professor at the University of Pittsburgh) directed the first installment and co-directed the third, in which he also appears. 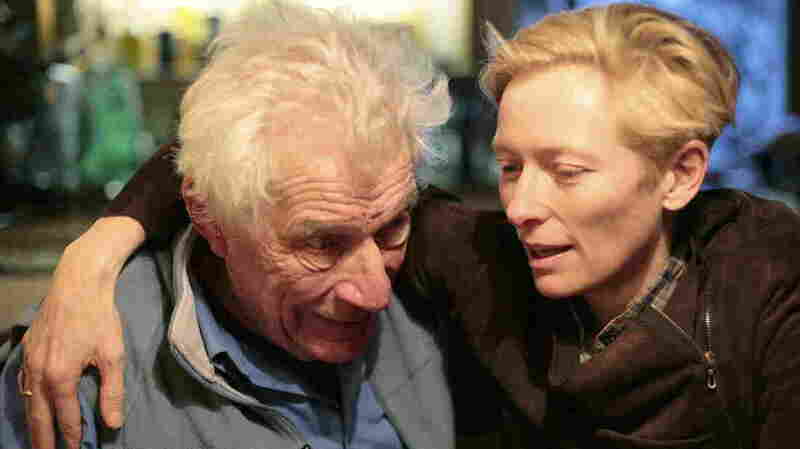 The wintry first episode is mostly a friendly chat between Berger and Swinton, who were born on the same day a generation apart. Berger’s father served in World War I and Swinton’s in its sequel, and neither man ever told his children what combat was like. But they couldn’t let go of the experience, as Berger reveals with a story about his father’s discreet obsession with maps of the Western Front trenches. Director Christopher Roth asserts himself in the kaleidoscopic second part, which is largely devoted to humans’ relationships with animals. The segment features footage of Quincy’s pigs and cows, and musings drawn in part from Berger’s essay, “Why Look at Animals?” But Roth, whose voiceover narration announces he’s a vegetarian, also includes images of creatures in zoos, snippets of Derrida and Heidegger, and the theme from Flipper — a pop-culture touch that doesn’t seem very Bergeresque. The final episode is titled “Harvest,” yet was clearly shot in summer. It spends less time with the movie’s leading man than with Berger’s son, Yves, and two teenage visitors to Quincy. The kids turn out to be Swinton’s, and their stay in the French countryside is presented as a wordless, near-idyllic montage. Swinton even used a drone for sweeping shots of the mountain pastures where cows graze without any of the moral complications of Roth’s section. The film ends with Berger on a motorbike, one of many moments that charmingly display the 89-year-old’s contagious enthusiasm and delight in everyday pleasures. What the four chapters don’t offer are a coherent introduction to Berger’s thought, or an analysis of how well it’s held up. The movie is mostly a love letter, designed for people who already know and appreciate Berger’s work. That approach is fine for the biographical passages, but it discounts Berger’s own vocation when the conversation turns to art and politics. For a study of a critic, The Seasons in Quincy is frustratingly uncritical. Poland, the late 1980s, the last gasp of Soviet rule. In a concrete Warsaw high-rise, politics have little bearing on daily life beyond a lingering mood of diffuse anxiety. Residents come and go, bumping into one another as they lie, cheat, covet, steal, snoop, betray, commit adultery and otherwise find freshly updated ways to violate every one of the Ten Commandments. There’s even a murder, yet these are — in their way — good citizens wracked by guilt, self-doubt, and a generous dose of original sin as they break the most ancient code of behavior still in force. They’re Polish Catholics, and though not all are believers, a God-like or Christ-like figure hovers over their transgressions in various guises, looking worried. Perpetually confounded, these ordinary folk inhabit a film masterpiece of urgent philosophical inquiry that asks the eternal question, How shall we live? And as every storyteller knows, we are never messier, funnier or more poignant than when we are trying to be good. I first saw Krzysztof Kieslowski’s Dekalog, a magnificent cycle of ten films made for Polish television, at the Toronto Film Festival in 1989. The series blew my mind and those of many others, and the director went on to win acclaim in the West with The Double Life of Veronique and the Three Colors trilogy. Kieslowski died, tragically early, at age 54 in 1996, and for a long time Dekalog lacked a North American commercial release. After a 15-year hiatus the series, digitally restored by Janus Films, opens in New York and Los Angeles. Co-written by Kieslowski with his friend Krzysztof Piesiewicz, who doubled (usefully, it turns out) as a lawyer and politician, every episode but one was shot by a different cinematographer. Yet there’s a unifying loveliness to the silvery chill of a freezing winter outside the apartment complex, counterpointing the warmth of the cramped interiors. Every rich detail matters — people keep spilling things, and that red telephone surely means something, as does the drunk who lurches by periodically, lugging a Christmas tree — but the semiotics are never overbearing. A compassionate camera passes over faces contorted by fear, remorse or rage, their crises quietly underlined by Zbigniew Preisner’s tender, foreboding score. Over here, a devoted father and rationalist professor runs smack into the conflict between science and religion when he unwittingly places his small son in mortal danger. Across the way, a single father and his grown daughter, a drama student, face the possibility that their loving kinship may be incestuous. A neighbor diagnosed with irreversible impotence begins spying on his wife, with disastrous consequences. A wife tries to decide whether to abort the baby she’s expecting with a lover, while her husband lies mortally ill in the hospital. A married man and his former mistress take to the streets for the night as they try to come to grips with the effects of their adulterous affair on those they love. The series ends with a shift into a mordant black comedy featuring two brothers — a manic rock musician and an uptight businessman — whose greed for their father’s apparently priceless stamp collection revives old rivalries. In every episode the acting is flawless, the spiritual dilemmas haunting and deep. 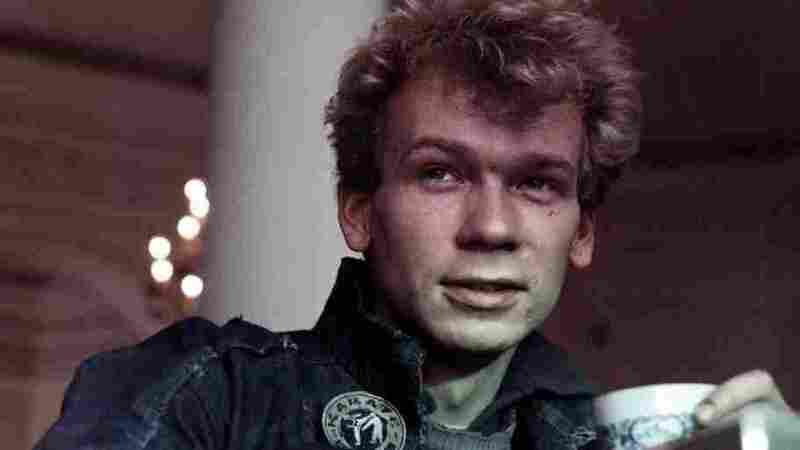 But the jewel in Dekalog‘s bedecked crown turns on the brutal, seemingly unmotivated murder of a taxi driver who serves the complex. Under a livid yellow sky the landscape is willfully ugly, and the killing — one of the longest, most graphic murder scenes I’ve ever seen — is as rigorously explicit as it needs to be given that the film both furnishes the ruthless young culprit with a backstory (as opposed to an excuse) and serves as a ringing indictment of capital punishment. Along with another episode about a young postal worker’s voyeuristic obsession with a beautiful neighbor, that film was made into a stand-alone feature under the title A Short Film About Killing. It is arguably the only drama in the cycle to express something approaching moral certitude. Uncertainty is the vital currency of Dekalog, and in only one instance does the equivocation jar. A professor of ethics, an older woman with a wise and kindly face, is forced to confront her apparent past betrayal of a vulnerable Jewish child during World War II. Given Poland’s difficulty in facing up to its treatment of its Jewish citizens under Nazi occupation, the redeeming motive for the professor’s action feels uncomfortably like special pleading, while the cross that her accuser fingers around her neck, along with a less prominent Jewish chai, is frankly baffling. That said, the tales in Dekalog conduct a mesmerizing dialogue with God and science, with free will and fate, with the many ways in which indifference or cruelty echo and repeat down the generations. These magisterial parables stand in pointed contrast to the woolgathering spirituality that passes for moral gravity in most movies. Instead, they affirm the primacy of the moral life while pondering the difficulties of deciding what counts as sin or virtue, let alone how to act on either. Should a physician lie about a patient’s health in order to save the life of an unborn child? Must a murderer die because he killed? Should a grown woman humiliate a boy who has embarrassed her? Must a son honor a father he scarcely knew? Do miracles exist? Can science explain the ineffable? Can anything? Dekalog celebrates the grandeur of not knowing. Venezuela’s opposition holds an anti-government rally Thursday in an effort to force President Nicolas Maduro to hold a referendum on his rule. They hope to bring hundreds of thousands of people into the streets. NPR’s Ari Shapiro talks to Alexandra Ulmer, Venezuela correspondent for Reuters. This time of year, the endangered bighorn sheep of Southern California gather at desert watering holes. Conservationists use these huddles to see how efforts to restore the population are going.